Hey Butterflies. I have an opportunity to do good to share with you. The Home Depot is on a mission to improve Historically Black Colleges and Universities (HBCUs) through their Home Depot Retool Program and your votes will help them select this year’s grant recipient. I attended Texas Southern University here in Houston, Texas which is a HBCU so I know which school I’m voting for, which school are you voting for? 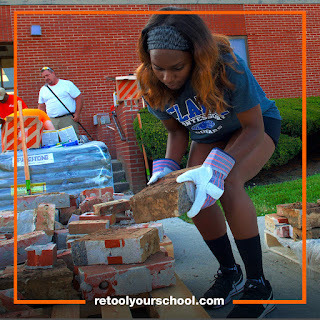 Help improve your HBCU by voting now for your school to win up to $50k in campus improvement grants from The Home Depot’s “Home Depot Retool Program”! If you don’t have a HBCU that you rep that’s ok, you can still vote. If you’re not an alumni of a HBCU or don’t already have a HBCU that you support feel free to vote for your local HBCU or mine, Texas Southern University. Please visit http://bit.ly/RetoolVote to cast your vote, voting ends April 15th. Lawyer and politician Barbara Jordan attended Texas Southern University as well as Singer/Song Writer and music producer Yolanda Adams.